1. Don’t run up your Credit Cards – You look around at your beautiful new home, and suddenly you see beautiful furniture, added interiors, and a lovely baby grand piano that would just go perfectly in the living room. You can’t wait to make your visions a reality, the only thing stopping you is the money. So you eagerly take out your credit cards and start charging for things you don’t really need at the moment. Running up your credit cards on home furnishings is one common reason why new homeowners amass a bigger credit card debt than usual. It’s just so tempting to beautify the home. But really, it’s all about discipline. You’ll be thankful you didn’t swipe that card when your first mortgage payment has to be made. 2. Don’t Make Late Payments – Sometimes paying electric bills or phone bills a little late may be acceptable, but think differently when it comes to your mortgage. After all, this is one of the largest expenses you can have every month and you wouldn’t want to end up spending your money on other things. 3. Don’t Slack Off On Work – Having just made the biggest purchase in your life, you may feel the urge to pat yourself on the back and relax. If you work 40 hours per week, keep on doing so. Any lack in income may cause you to default on payment, and you wouldn’t want that to happen. 4. Don’t Get New Credit Cards – The principle here is to keep your debt to equity ratio just about the same as the day you signed those papers. Before you even made the decision to buy the house, you may have already calculated that you can afford it. Don’t run the risk of getting deeper into debt by taking on a new credit card that you don’t really need. 5. Don’t Stop Communicating – You may think that since you’ve already gotten your loan and everything is signed that you no longer need to keep in touch with your loan officer. The thing is, keeping in touch will keep you informed of the latest news and happenings and anything you need to be aware of. Remember, you will only triumph over your mortgage once you’ve paid off everything. It’s not enough to get a good mortgage rate. You must also have the discipline to make those payments and pay everything off either on or before time. Home mortgages can stick around for as long as 30 years. Don’t regret the mortgage you got yourself into because of lack of research. Here are six smart moves you can do before getting a mortgage. These steps just might save you thousands of dollars. It’s common knowledge that a good credit score can lead to lower mortgage rates. So before applying for a loan, make sure your credit score is accurate. You can do this by scrutinizing credit reports from the three major credit-reporting bureaus and check the information that they have recorded. 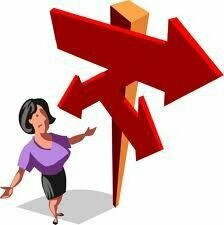 It is possible that some discrepancies could be present that can affect your credit score. Checking and verifying just might get you that lower rate. Aside from getting your credit score ready, a big chunk of getting a good mortgage is from the rate that the lending institution can give. There are thousands of lenders and banks that can give you a loan, don’t be shy to look for the best rates. Start by checking online reports of the best mortgage rates available in your state. Getting yourself preapproved from your lending institution of choice can give you a clear idea of just how much you can borrow. The institution will evaluate your information and they will give you how much they can give you. Plus, getting preapproved can establish your credibility with sellers and real estate agents who will look at how you can get financing. Most people can get drawn by beautiful houses they just cant afford. Be realistic when shopping for homes and be aware of external factors such as association fees and maintenance costs. This could greatly affect your monthly budget and there’s no way to cut down on these costs once you’ve got yourself into it. One way to get the interest rate down is by paying discount points on the mortgage. What happens here is that you pay money up front in exchange for a lower interest rate for the rest of the loan term. One point equals 1% of your loan. If you’re borrowing $200,000, then a point would cost you $2,000. Each point can take off one-eighth to one-quarter of a percentage point off your rate. Buying down the rate is only useful if you plan to stay in that home for the long term. Also this is feasible if you do have the extra cash at hand. Another way to bring down your interest rate is by negotiating with sellers to let them pay the points. Paying points can cost less for sellers than reducing the price of their home. This can be an effective way to solve negotiations on pricing. It’s both advantageous to the buyer and the seller as well. Doing a little extra work can mean major savings. And for something as big as getting a home loan, taking that added measure should be well worth your time. Dying to move out of your apartment and into your first home? Getting a home loan can help you achieve your dream. However, when purchasing a house, it’s important to know about the ins and outs of the mortgage you’re planning to get. One important factor that must be considered is the interest rate on the mortgage. Banks and mortgage companies usually have different payment schemes to entice buyers into getting a loan. Some of these loans might be structured in such a way where borrowers will pay only a little in the beginning, but will be obligated to pay more in the end. One such loan is the adjustable rate mortgage. Adjustable rate mortgages or ARM’s are common in different banks and financial groups. This type of mortgage has interest rates that are based on an economic index. Common indexes are one, three or five-year Treasury securities. Aside from the index, the mortgage is also subject to the lender’s margin or markup. Lenders will place an additional amount to the index to profit from the loan that you’re getting. An ARM has an adjustment period between potential interest rate adjustments. This period can differ in various ARM’s. You might notice ARMs being described as 1-1, 3-1, or 5-1. The first figure represents the period where your interest rate will stay the same as the first you got the loan. The second number represents how often an adjustment will be made after the initial period has ended. In the examples given, the second number means that rates will adjust annually. Buyers who are not familiar with how an ARM works can be attracted by the initial rate of the mortgage which may seem very low compared to fixed rate mortgages. However, what they don’t know is that some indexes can be very volatile, resulting in frequent changes in interest rates after the adjustment period. This can subject buyers to having to pay higher interest rates than they are used to, getting them in a financial fix when it’s time to pay up. 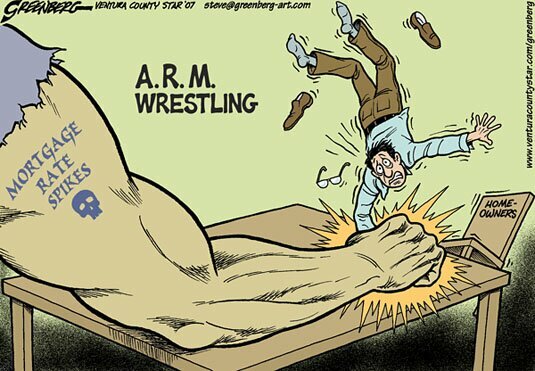 Although ARM’s are not very advisable to the usual home owner, it does have its uses. ARMs are a good option for those who are planning to sell their home within the first few years. This could also be an option for those who are expecting an increase in salary or income in the near future. Real estate dealers who sell houses within months can also benefit from this type of loan. If you’re determined to get an ARM, it’s important to check three things. The first is the index. Look for an index that has remained fairly stable in the past five years. This will give you an idea of what range your future interest rates will be. Second, check how much the margin is. Third, look for a lender that has excellent customer service and request for a full disclosure on the terms of the ARM. It’s always best to be informed before signing that contract. Remember that although ARM’s might have juicy initial rates, these rates can (and will) go up as time passes. Get an ARM only if you’re certain that you can pay up on future rates. It has always been part of the American dream to own a home. Once a young adult graduates and finds a secure job, the one thing that will always be on his mind is getting his first house. 1. Pick a bank with the lowest interest rates – This is one of the most obvious things you can do to save on mortgage. It’s best to be aware that a difference of .1% could already mean a couple of thousand dollars in the long run. Don’t be caught by the bank with excellent customer service and a crisp smelling office. If it has high mortgage rates, go and look for another lender. 2. Choose a fixed rate mortgage over an adjustable rate mortgage – Adjustable rate mortgages may sound appealing due to the low interest rates you could be faced at the start. 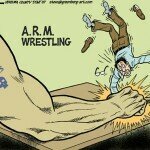 However, ARM’s are volatile and the interest rates could definitely go up depending on the index. This will put you at risk on having a monthly obligation which is bigger than what you normally have planned on. 3. Increase your equity – The bigger down payment you can afford, the better. Having a bigger equity will mean having to take on a lower loan. If you can afford to wait until you have more money to pay for a bigger downpayment, this could be ultimately better for you in the long run. 4. Shorten the loan term – Although 30 year loans and the small amount of monthly payment you have to dish out may make your eyes dance, what you don’t know is the amount of interest this long loan term piles up on you. The best way to distinguish just how much you’re paying is by using a mortgage calculator. You will then see the advantage of shortening the loan term. 5. 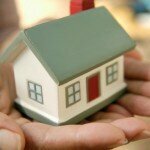 Refinance – There will come a time when refinancing becomes a sensible thing for you to do. You could exchange your higher interest rates for lower ones, decreasing your monthly dues. 6. Waive some settlement fees – Ask your bank if you can have some settlement fees waived. There’s no harm in asking. 7. Be aware of bank promotions – Ask your customer representative to inform you of any bank promotions. Some banks might just have promos about cutting closing fees. Right now, Ever Bank in Florida can give as much as $500 off on closing costs. 8. Pay a little extra every month – This is one golden tip that could potentially save you thousands of dollars. For every month that you pay off your mortgage, add a little bit to pay for the principal. You could put in an extra $50 or $100. In a $100,000 mortgage at 6% and in 30 years, chipping in an extra $50 on the principal per month could mean a savings of $25,000. That’s a lot! 9. Beware of the interest only mortgage – An interest only mortgage may sound juicy, but the after effects once the interest only term expires could be devastating to your bank account. 10. Build rapport with your bank – If you have other transactions with your bank, discuss these with them and try to see if you can haggle for a lower interest rate. Whatever your financial status is, it’s always best to save on mortgage as this could be a loan that stays with you for a relatively long time. What is Yield Spread Premium (YSP) on a Mortgage? Yield Spread Premium (YSP) is a factor of the loan which will affect either the rate you receive or the money going into the loan officers pocket. There are many misconceptions about what YSP really is. Many people think that YSP is a way for brokers or loan officers to simply make more money, and a ton of people have no idea what YSP is altogether. When I was a loan officer I would always try to educate and inform borrowers about YSP and what it is. I was surprised to find so many people really knew nothing about it. Even though Yield Spread Premium is way loan officers can make money on a loan it is a much more powerful tool, that if you understand it can work in your, the borrowers, favor. First of all let me clarify that YSP is completely legal as long as it is properly disclosed in your loan documents. Some loan officers will attempt to skim over the documents concerning YSP. If a borrower does not understand YSP it can be difficult to explain it on the spot and this may be the reason they skim over it, or they are trying to make more money with the YSP and do not want you asking questions. A good loan officer will explain the YSP and show you options with your loan. YSP basically affects the interest rate of your mortgage. When shopping for a rate for you a loan officer will see something like this from the lender or bank. The YSP percentage is what the bank will pay the loan officer if they sell the loan at that interest rate. So in this case say you sign a lock in agreement for 5.5%. The bank which is funding the loan will pay the loan offer/mortgage broker 1%. So on a $150,000 that equals $1,500. How you can take advantage of YSP: Now that you know what YSP is you will need to know how to use it to the best of your advantage. Do not say to your loan officer “I know what YSP is and I don’t want to pay it.” YSP is very normal on a loan and using it to work for you is what you need to do. A good loan officer deserves 2% – 2.5% on the loan whether that is up front or on the back. “Discount” loan officers will usually cause you more headaches because of errors and a slow process. Using the numbers above if you decide to take the 4.5% interest rate with 0% YSP that 1 % will be moved to the front of the loan. Therefor your origination fee will be 2% instead of 1%. Essentially you are paying up front to lower your interest rate to the lowest rate possible. Many times this makes a lot of sense to do because you will save money in the long run by paying lower monthly payments with the lower rate. You can determine how many months it will take to repay the 1% by doing a simple calculation. Lets use these figures. Hypothetically the payment on the $150,000 at 5% equals $700. The payment on the 4.5% equals $600, but remember it cost you $1,500 up front by paying for that 1% on the front of the loan. The difference between the payments is $100 which means it will take you 15 months to pay the difference of the $1,500. If you stay in your house longer than 15 months then every month you are saving/earning $100. Difference between YSP and Buying down points: This concept works the exact same when you want to buy your rate down with extra points. The simple difference is that YSP is usually apart of a normal loan and you can learn to take advantage of points and dollar amounts that are already apart of the loan. Buying down points usually means that you will pay an extra percent of the loan to get a rate under the Par Rate (Par rate is the Rate in which there is 0% YSP). What is DTI (Front and Back End Ratios for Mortgage)? When you are in the middle of the mortgage application process you may hear the terms DTI or ‘front end ratio’ and ‘back end ratio’ being thrown around. Your income plus monthly debt burden will help determine how much house you can afford. The front end ratio and the back end ratio are the calculations that make this determination. Front Ratio is determined by adding together your proposed principle and interest mortgage payment, taxes, insurance and any dues owed to a homeowners association or condominium complex. This total is divided by your total gross income. With an income of $4,000 a month your front end ratio would be 30%. Typically mortgage companies want to see a front ratio of under 28%. This ratio is called your DTI (Debt to Income). The back ratio is determined by adding together the total mortgage payment (including everything listed above) plus any other monthly financial obligation. The monthly obligations can be credit card payments, auto loans, lines of credit, etc. This total is then divided by your gross monthly income. If you have no monthly payments besides your mortgage your front and back end ratios will be the same. Again with a $4,000 a month income your back end ratio would be 37%. Mortgage companies want to see this below 36%. Even though lenders like to see your DTI below 36% some lenders will give exceptions all the way up to 50% depending on the strength of your credit score and other factors in your loan. 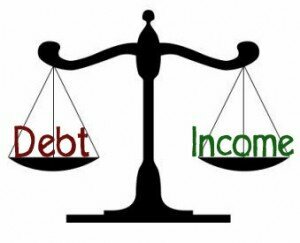 Keeping a low Debt to Income ratio is important and can help you qualify for a mortgage with less hassle. To keep your mortgage payments low, make sure your credit score is high. If your score is currently too low, speak with a specialist to get credit repair secrets to get your number back to respectable, and your mortgage payment will fall. Check out todays mortgage rates. A commonly misunderstood part of a mortgage is PMI or Private Mortgage Insurance. In this article we will break down what PMI is, but first let me tell you what it is not. Some people, often times first time home buyers, believe that Private Mortgage Insurance is a policy where if the borrower died the mortgage insurance would pay off the existing balance. This is not true, and in fact completely opposite of what PMI really is. PMI is built to protect the lender not you the borrower. 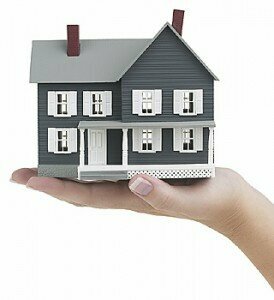 Others mistake PMI for Home Owners insurance, and believe it will protect them against damage or theft of their house. This is not the case as Homeowners Insurance is completely separate requirement, can never be removed, and is in place for the benefit of you. Private Mortgage Insurance is a requirement for most, if not all, loans where the borrower has a mortgage more than 80% the value of the home. If you are purchasing a home and put less than a 20% down payment PMI will be required. Likewise if you are refinancing your home and the new loan amount exceeds 80% the appraised value PMI will be required. PMI protects the lender on “risky” loans in case you as the borrower default. So what is in it for me? Good question. The answer… not much other than the ability to borrow over 80% or have less than a 20% down payment. Many people do not have enough money saved to put 20% down on a home; therefore PMI may be your only option. How long will PMI last? PMI is not good for the life of your loan. Two factors that naturally occur help reduce the time you are required to pay mortgage insurance. These factors are making your monthly payments and appreciation of your home. You can request your PMI be canceled when your mortgage equals 80% or less of the original purchase price or appraised value of your home at the time the loan was obtained, whichever value is less. Good payment history for the previous 12 months is often required to drop PMI at 80% LTV (loan to value). Once your LTV equals 78% your lender is required by law to automatically remove the PMI. If you are delinquent during this time PMI will not be removed until your loan is current. Finally, if neither option above is reached by the time the loan reaches the midpoint of its term PMI will be automatically canceled. For example if you have a 30 year loan with 360 payments once the 180th payment is made PMI must be canceled, provided you are current on your payments. Can I avoid PMI without a 20% down payment? 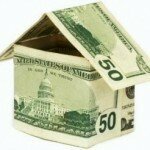 Some lenders offer 2nd mortgage plans to avoid PMI. Commonly known as an 80-10-10 loan, in this scenario you borrow a first loan of 80% (no PMI because it is 80%), second loan of 10% and a 10% down payment. Although you avoid private mortgage insurance you have the risk of a high interest rate 2nd mortgage. 2nd Mortgages are often times adjustable rate mortgages, or even have a balloon payment at some point in the loan. Ideally you would like to have 20% down payment so you can avoid PMI altogether. If you do not have that large of a down payment you will be required to carry PMI for a portion of your loan. Be sure to keep a close eye on the value of your home and the amount you have paid your mortgage down so you can cancel the mortgage insurance at any time. Do Not Listen to Mortgage Company Referrals. If you are in the market for a mortgage, whether it is for a refinance or a purchase, chances are you start looking for a mortgage company by asking your friends. Many of your friends will tell you to avoid certain companies and others will tell you their experience with a certain company was great. I’m telling you right now… Ignore all Referrals to “Companies”. I worked in 3 different mortgage offices and let me tell you… there were people I worked with that I wouldn’t even trust to buy me milk and eggs at the store let alone handle my personal finances. How bad your credit is (or good). How much debt you have. How many kids you have. The point is that you need to be able to trust this person that handles so much of your personal information. Secondly you should not have a friend or family member do your loan if you do not want them to see all this information. So there is a fine balance. The reason why you should ignore referrals to companies is because you want to find out which INDIVIDUAL loan officer within that company is trustworthy and competent. If you just call up the company they will assign you to which ever loan officer is on the list… this is too risky. If your friend tells you “I used ABC Mortgage and they did a great job.” That reflects mostly on the individual who completed the loan for them. Ask them for a name and a direct phone number. If they do not have a name ask them to check their paperwork and the loan officers name will be on the paperwork. It has to be… they sign it. Referrals should be based on people, not companies. Remember to checkout our Mortgage Help Tips. *If you live in Washington State and need a quality loan officer you can check out Clark Davis. I just sent my own parents to Clark, that is how much I trust him. 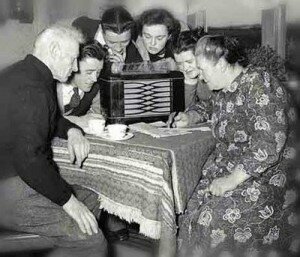 Some of these radio ads I hear for mortgage rates and mortgage offers just make me laugh. I worked as a loan officer for 5 years so I know the reality behind the sneaky little marketing tricks mortgage companies try to pull on radio listeners every day. Now here is the truth. Yes mortgage companies can pay all the closing costs on your loan for you, but it sure is not coming out of there “generous” pockets. No no… YOU will be the one footing this bill. Just like pretty much everything else in life this offer IS too good to be true. Here is how they do it. When a mortgage broker chooses a bank to fund the refinance or purchase that you are doing, the bank will actually pay the broker for that business and if they offer you a higher interest rate. They do this through something called Yield Spread Premium or YSP. (see our Mortgage Help for a more detailed explanation of YSP). If the base rate for the day is 4% the broker could tell you that the rate is 4.25% today and the bank would pay them say 1% of the loan amount to lock at the higher rate. YSP is not the tricky marketing tactic. YSP is a normal part of loans that is fully disclosed and you can learn to use YSP to your advantage. The problem lies in the fact that all a “We will pay all your closing cost for you” loan is that it is a loan with a much higher interest rate so that the YSP is greater. Then the mortgage broker uses the YSP money to pay the closing costs. But remember the mortgage brokers are in it to make money so they will also be sure to include enough left over for them to make money, this only makes your rate even higher. These types of loans only leave you with a much higher interest rate than you could have gotten. This loan will work in one situation. This loan will work if you are planing on being in the loan short term. If you stay in the loan for just a few years the higher interest rate payments will catch up and eventually overtake the amount you saved by doing a no closing cost loan. Since it is meant to be a short term loan you should look into a 5/1 Adjustable Rate Mortgage. This will save you more money because the interest rate will be lower. So now you know the how the “We’ll pay the closing cost for you” loans work. Do not be fooled into thinking they are something greater then they actually are. If you are looking for a stable fixed mortgage find a bank or broker with more straight forward, honest advertising. Or even better, ask your friends who they recommend.